“We are a company with engineering origins and we have remained so. We are manufacturers, we design , develop and manufacture our products and, if necessary, repair them, providing the necessary assistance. We manage the entire cycle. We make networking equipment entirely in Italy, telecommunications are in our DNA. So says Fabrizia Montefiori, Chief Executive Officer of TIESSE, the Ivrea-based company specialising in routers and M2M devices, “that today is easier to describe as IoT for which the issue of low consumption will be crucial”. The video is only in italian, with English subtitles. To do all this requires the right skills, developed in house, also thanks to the close relationship with the Turin Polytechnic. A wide range of activities spanning from networking to routing (M2M connectivity already in the second generation), not forgetting broadband and new paradigms such as "software defined networks – adds Montefiori – on which we have been working for some time with the University and with certain customers”. “Our M2M devices are designed to interconnect the objects that need to be monitored, controlled, measured and tested – points out the Tiesse CEO – in the M2M world, and therefore that of IoT, it is necessary to focus on certain areas, because it is such a vast world that we must necessarily be selective”. Utilities and smart cities are the most significant market sectors in this business area. Fabrizia Montefiori, CEO Tiesse: “We are a company with engineering origins, we have remained engineers and we manufacture, that is, the things that we make are designed, developed, manufactured, repaired and supported by us, we manage the entire cycle. We make networking equipment, telecommunications, because telecommunications is in our DNA. We make routers and Machine to Machine devices, which today is easier to describe as objects for IoT, the Internet of Things, but they are those which until yesterday we called Machine to Machine devices, in the sense that they interconnect all the objects that must be monitored, controlled, measured, tested, etc. And so have in the networking world, both in the routing world, so connectivity, broadband, new paradigms such as Software Defined Networks, on which we have been working for some time with Universities and with certain customers, as well as in the Machine to Machine world, and so that of IoT, focus on a certain sectors, because also here this sector is so large, it will be so pervasive that we must necessarily give it a profile, right? You can't do everything. 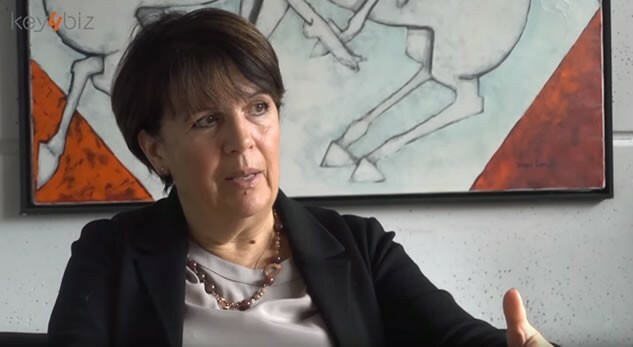 Fabrizia Montefiori, A.D. Tiesse: “When we started making routers we couldn't make a router like all the others already had and we were the first to bring, for example to Telecom, a router with integrated mobile interconnection with the fixed part for the professional world. Professional which means with services included. We can do this because we are our own masters, in the sense that we drive the investments, we manage them, we are not accountable to any external investors. We came to this because we have always had let's say constant attention to the control of the company and we have been both determined and prudent at the same time, in the sense that we have never bitten off more than we could chew and we did not throw ourselves on all possible markets - there is a temptation to that, right? The internationalisation process, having another market outside Italy, is not because Italy is not be sufficient, right? There is still much to do in Italy, but to add legs, right? And therefore to add stability. And then there is another thing that I would like, but this is a personal thing, for the company to have an independent and stable structure over time, beyond we who created it.